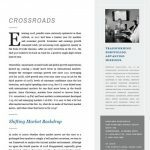 Highland Associates – Transforming portfolios. Advancing missions. Highland Associates is a leading institutional investment firm that has provided objective, research-driven investment counsel to not-for-profit healthcare entities and mission-based organizations for more than 30 years. Our credentialed advisors’ hyper-awareness of financial market dynamics, deep understanding of the industry and commitment to due diligence inform the forward-looking investment management programs that we customize for each client. We base our success not only on the returns that we generate, but also on building collaborative, supportive and candid relationships with those individuals with whom we partner. Highland Associates was founded in 1987 and advises clients nationwide. Investing for the total client nationwide.